Author Events Calendar. Meet mystery, suspense, thriller author Kathryn Orzech at these in-person and virtual events. Meet and greet local authors and fellow readers. A full day of panel discussions and much more. Join us for one panel or all of them. Meet and greet local authors at Windsor Public Library’s First Local Author Festival. Authors from a variety of genres share their experiences and introduce their books. Each author will have books available for purchase and signing. Authors: Eileen Albrizio, Beth Caruso, John Finn, Stanford Forrester, Penny Goetjen, Kathryn Orzech, Rebecca Podos, David Pratt, Diane Shovak, and Nikki Woolfok. The day begins in mystery… The Art of Writing Mystery in a Local Setting, a panel discussion. Meet mystery-suspense-thriller authors Kathryn Orzech, Penny Goetjen and Diane Shovak in a panel discussion of The Art of Writing Mystery in a Local Setting, moderated by a mystery reader. A free event. The public is enthusiastically invited. A Full Day of Panels. Spend the entire day at the library, or drift into the program that interests you. Something for everyone with a variety of book genre panel discussions throughout the day. May 11. Murder by the Minute on Guilford, Conn.
5-minute Reads by Sisters in Crime-New England. Members of Sisters in Crime-New England, introduce and read from their books or a work-in-progress at the Guilford Free Library, across from the Guilford Town Green. Also in Guilford that day, an Arts Expo and many good restaurants and food trucks nearby. It’s a great way to meet and mingle with SinC-NE member authors and to visit historic Guilford. 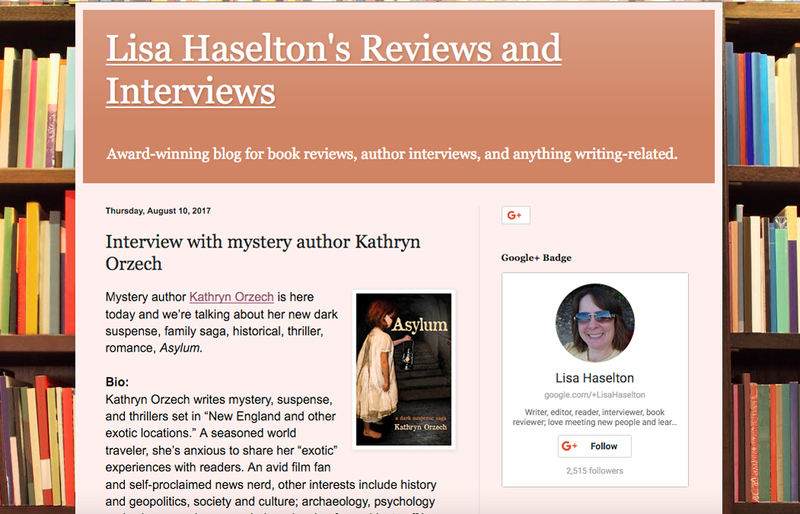 We’re also working on guest blog posts, live Facebook events, author panels, and book readings and signings—all while writing a new mystery-thriller. Future plans and progress will be announced here as well as on Facebook’s Kathryn Orzech, Author Page. Crafting tips and projects; recipes from food editor and sleuthing sidekick Cloris McWerther; and decorating, travel, fashion, health, beauty, and finance tips from the rest of the American Woman editors. I’m excited to be a guest author talking about my first career—before author, before ad agency art director, and before graphic designer. I write about my memories at The Napier Company as a costume jewelry designer, and how those early work experiences found their way into Asylum, a dark suspense saga. In 1899 while her father travels abroad, twelve-year-old Maggie Delito, daughter of the wealthy industrialist, unwittingly witnesses a shocking scandal. The next day, she’s dragged from her family’s estate and locked in an asylum to ensure her silence. Beneath the noted asylum’s polish of respectability, a wicked villainy hides in dank shadows—and Maggie fears she will be its next victim. Seventy-five years later Laura Delito inherits more than assets when her prestigious family’s mysterious past comes knocking. After sacrificing an independent career on the brink of success, she assumes control of Delito’s failing jewelry business while daring to expose its ghosts—a strange old woman, cryptic messages, and a rare antique key that might unlock the truth. As she pursues clues from the Northeast to North Africa, she fails to see danger looming close to home. View the one-minute trailer of Asylum. Shocking family secrets remain buried for generations in this tragic saga of a privileged, albeit ill-fated, family of a wealthy Northeast industrialist. Unforgettable characters tell an emotional story of scandal, greed, and betrayal—all the intrigues of a Gilded Age lifestyle. Set in central Connecticut in 1899 and 1974. A New England family on the home front during the tumultuous years that changed the world—and the lives of all Americans. The family’s personal as well as the larger outcomes of the war are explored: the changing role of women; adjustments of returning veterans; life in wartime factories; and the struggles of being a child and adolescent during these turbulent years. Tropical illnesses, a treacherous ocean voyage, and long separations from her parents were some of the things which this daughter of missionaries survived. The missionary lifestyle and the work of her parents are described through the eyes of the author, who spent all but three years of her childhood in India. Many thanks to all who attended Echoes of the Past. Your questions were perfect and we loved meeting you. Authors from Southeastern Connecticut and beyond will be on hand to talk to you about their books and sign and take photos. Authors of fiction, nonfiction, Young Adult literature, Children’s literature, Romance, History and Mystery will be here. It’s a great event for all ages! Mid-afternoon, several authors will speak to the public about their work, and their experience publishing their books. Guest speakers to be announced. Find unique holiday gifts at The Storyteller’s Cottage. December 8. Noon to 4pm. Holiday Open House: Gifts for Book Lovers! Meet more than 15 local authors in person and purchase signed copies of their books in most genres. Make your holiday gift extra special with a personal message from the author. Stop by anytime between noon and 4:00 PM to find a wide range of books by local authors and other fun gifts for the book-lovers on your holiday list! Visit The Storyteller’s Cottage/Steampunk Library and roam from room to room where you can chat with authors and learn about their work. More book-themed gift ideas — t-shirts, desk accessories, and jewelry. November 8. Destination: Prague, Czech Republic. A guest blog post at Killer Crafts & Crafty Killers. We’re happy to announce that Kathryn Orzech will be the featured Guest Author at Killer Crafts & Crafty Killers, the blog of Anastasia Pollack, crafts editor and reluctant amateur sleuth. Her Thursday “novel settings” posts introduce readers to towns or cities (real or fictional) where books are set. This blog post introduces readers to Prague, capital city of the Czech Republic, a key location setting in Premonition of Terror. BOOK SUMMARY: A girl-next-door protagonist with travel wanderlust stumbles on an international terrorist plot in this fast paced thriller. Thank you Lois and Anastasia for the opportunity to introduce your readers to the beautiful, historical and vibrant city of Prague, the perfect location setting for an international thriller. And thank you for the chance to revisit Prague memories in my mind as I wrote the post. October 27. Halloween Author Event: Premonition of Terror by Kathryn Orzech at Book Club Bookstore & More, South Windsor CT. Learn the chilling backstory as disturbing as the fictional dramatization when truth is stranger than fiction. A free event. The public is invited. Premonition of Terror will appeal to readers interested in or curious about psychic phenomena, ghost stories, life after death. SUMMARY: A girl-next-door protagonist with travel wanderlust stumbles on an international terrorist plot. This fast paced thriller will keep you wondering, Could this really happen? Or has it happened? October 25. All Access Authors: Halloween Edition at The Storyteller’s Cottage. Meet three local authors and we’ll read from our latest books in an adult story hour. We’ll be in the Jules Verne Steampunk Library (my favorite room), an intimate Victorian parlor that’s perfect for storytelling and conversation. Enjoy a light reception afterward. Halloween is October’s theme when guest authors speak of something spooky. This place is so cool. Visit their gorgeous new website for more information about The Storyteller’s Cottage. October 6 & 7, noon till 2PM. HUBCAP Meet and Greet Book Signing with area authors at Celebrate Wallingford. Ten local and Northeast authors. Fiction, non-fiction, children’s. Authors greet visitors at HUBCAP Wallingford‘s storefront headquarters, in the middle of Celebrate Wallingford (formerly Taste of Wallingford). HUBCAP Wallingford, An engine for Wallingford’s future labor pool! HUBCAP is a non-profit serving Community, Business and Education. Learn more on their website: HUBCAP Wallingford. Authors love meeting readers and other writers. Please stop by to say hello. Books signed by the authors will be available for purchase and make great personalized gifts. Join us at The Big E, America’s only six-state fair. Visit all New England states in one hour at Avenue of States where we’ll be greeting visitors in the Connecticut Building at the Connecticut Authors & Publishers Assoc. (CAPA) Bookshop. 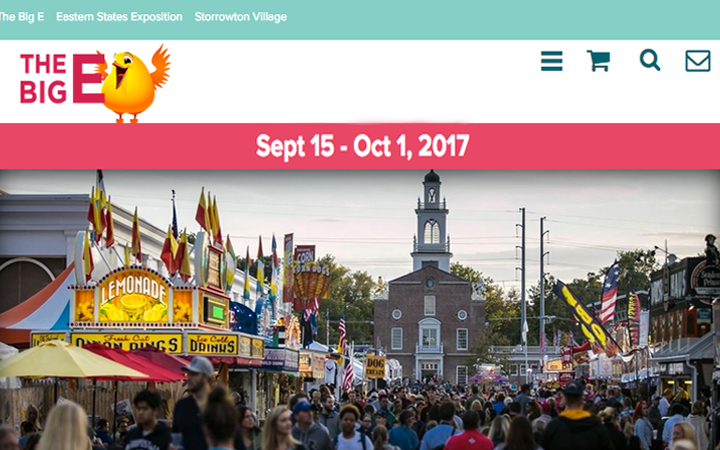 The fair runs 17 days from Sept. 14 through Sept. 30. Advance discounted tickets are on sale till Sept. 12. Another great year at The Big E comes to a close. 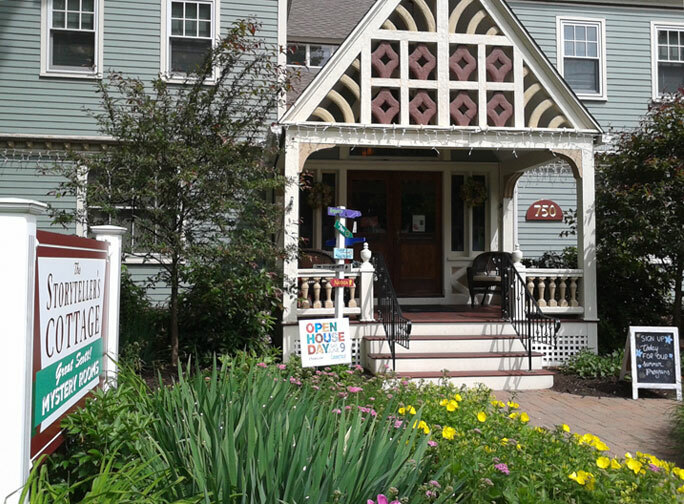 Many thanks to CAPA for providing a bookshop in the Connecticut Building, and to readers and visitors. I’m so grateful to all who stopped by. Thank you! June 30, 2018. Saturday Afternoon at Barnes & Noble UConn Hartford Bookstore with Sisters in Crime-New England Chapter. Sisters in Crime New England authors will be signing books at an exclusive event hosted by Barnes & Noble. Meet the authors of your favorite mysteries and thrillers, chat, and stock up for summer reading. Drop in any time between noon and 4pm. Authors will be set up throughout the store. Light refreshments and an adjoining Starbucks for your convenience. Plenty of nearby parking. 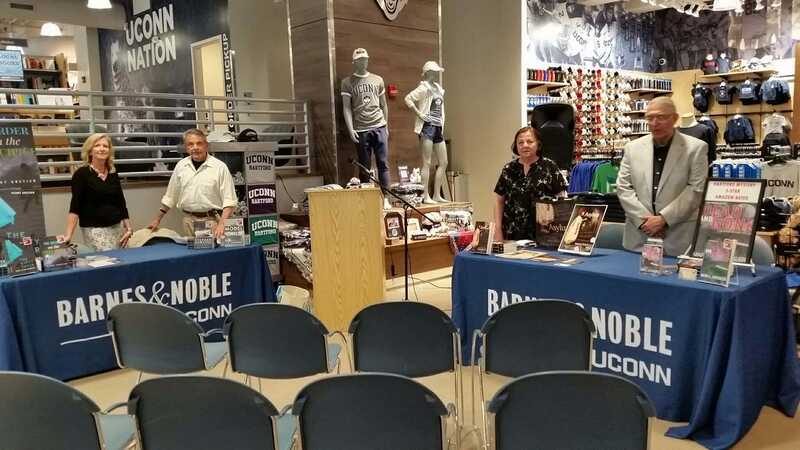 Thank you Barnes & Noble UConn Hartford Bookstore for inviting Sisters in Crime* authors! * Sisters in Crime is a world-wide organization of 51 chapters. Its mission is to promote the ongoing advancement, recognition and professional development of women crime writers. June 23, 2018 — CrimeCONN with Mystery Writers of America at The Ferguson Library, Stamford CT.
Entertainment and inspiration from deep inside the mystery world. 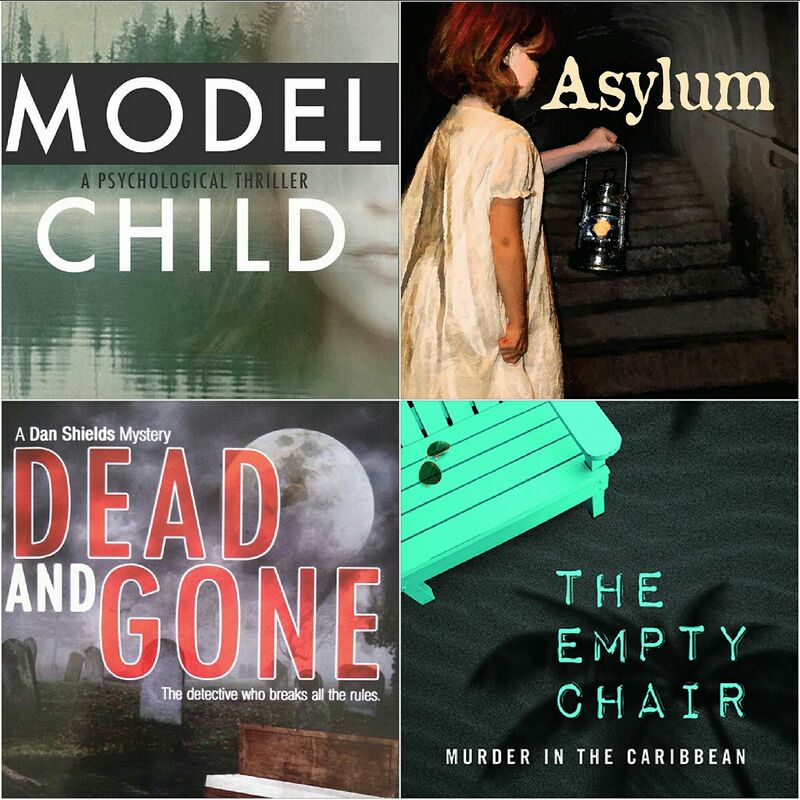 Mystery Writers of America organized a full day of educational, inspirational, thought-provoking, and entertaining panel discussions with esteemed guest authors, agents, publishers, and experts in related mystery fields. Special guest speakers were S.J. Rozan, award-winning author of novels and short stories, and Neil Nyren, former Exec. VP, Associate Publisher and Editor-in-chief at Putnam Press. Much appreciation to Chris Knopf and Charles Salzberg, Co-chairs Programming MWA, and their CrimeCONN Committee for a wonderful event. Join me, Kathryn Orzech, and fellow authors Penny Goetjen, Mark Dressler, R.C. Goodwin for an evening with Connecticut mystery writers. Readings, discussions, Q&A, and book signing. The Storyteller’s Cottage, Simsbury CT, where authors and readers dropped in for Connecticut Open House Day. Much appreciation to the gals at the Cottage for opening your house to us, for your gracious hospitality, and for the cookies and lemonade. March 24, 2018. READ Local. Local Author Fair. Join me and other area authors who are happy to meet and introduce our work to potential new readers from the same communities where we live, write—and write about. Signed copies of our books will be available for purchase. I’ll be greeting readers, answering your questions, and happy to discuss my mystery-suspense-thrillers set in Connecticut and various New England locations. Pick up your personally signed copy of Asylum, a dark suspense saga, set in 1899 and 1974 in central Connecticut with female characters who confront extraordinary situations, flirt with romance, and brush with the supernatural. Awarded Best Mystery by IPNE Book Awards, 2016. A book club favorite. The Storyteller’s Cottage invites you to the Halloween Edition of All Authors Access. Sunday 3-5pm. 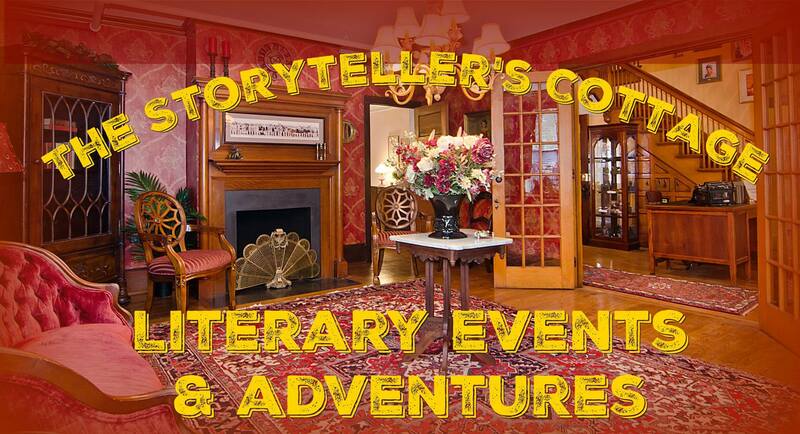 Join me, Penny Goetjen and Beth Caruso at the new The Storyteller’s Cottage, dedicated to Literary Events and Adventures in Simsbury, Connecticut. Meet three award-winning Connecticut authors who’ve recently published thrilling books—perfect for the Halloween season! Settle into cozy vintage rooms and enjoy hearing each author read. There will be plenty of time for discussion with the authors between readings in this intimate setting, and each author will have books for sale afterward. I can easily imagine the c.1899 scene in Asylum when Carlotta and Uncle Elias devise a wicked plot to silence little Maggie. They schemed in Father’s library, which would have looked like the Jules Verne Steampunk Library at The Storyteller’s Cottage. I’ll be discussing and reading from Asylum in a restored Victorian room. I can feel the ambience. The public is welcome to this free event. Online RSVP is appreciated. Author Events: Oct. 26th, 2017 — Girl’s Night Out with Women Who Write. Authors, books, raffle, auction, food, entertainment, vendor tables. Thur, Oct 26, 5:30-8:30pm. All proceeds go to the Network of Executive Women, Milford CT Scholarship Fund. A fun event with new friends. Oct. 19th, 2017 6 to 8 PM — Mysteries & Moonlight Facebook Event. Join DreamWatch creator Kathryn Orzech, author of mysteries, suspense, and the dark side of history; mystery author Penny Goetjen; and Julie Griffin, ghost photographer-psychic-medium in a lively discussion of dreams, spirits, and otherworldly topics. Don’t be scared, log into your Facebook account and the Mysteries & Moonlight Event and join the conversation live on Facebook. 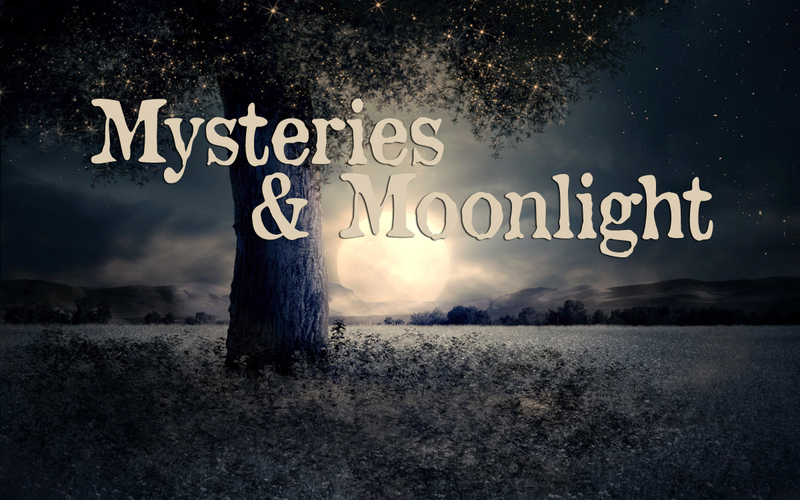 Mysteries & Moonlight Event remains on Facebook to view, click the link. We’re excited to be back to The Big E, greeting readers and signing books in the Connecticut Building. Our books will remain on the shelves from Sept. 16 through 26, so don’t be shy, step into the booth and browse. Look for the Connecticut Authors and Publishers Assoc. (CAPA) Bookstore next to the State Police booth. (If they turn on the flashing lights, you won’t miss us.) We’re there just two afternoons, but our author pals are on hand every day of the fair from 10am till closing. Tell them Kathy sent you. See Renee’s 4-Star Review on Goodreads. 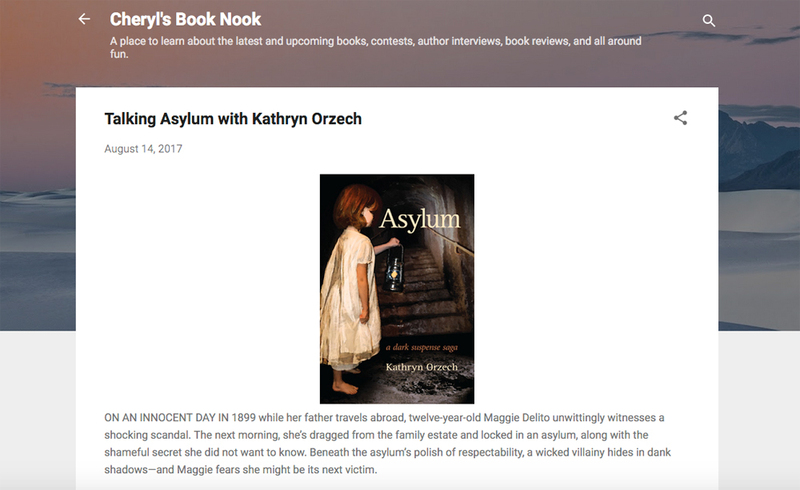 Aug. 14th, 2017 — Talking Asylum with Kathryn Orzech at Cheryl’s Book Nook blog. Asylum book review and author interview at Cheryl’s Book Nook, a place to learn about the latest and upcoming books, contests, author interviews, book reviews, and all around fun. Maggie may have been a naïve young girl when she was sent to the asylum but by the end, she was a strong woman. I like the images Cheryl chose to supplement the interview, asylums, the New England countryside. I especially love the shot of Downton castle and 1970’s fashion, trust me, the ’70s never looked so good. The pictures alone are worth a quick visit. Cheryl’s Book Nook is a beautifully organized and designed blogspot, very clean. Kudos to Cheryl. I’m grateful to have been invited. Stop by to see the pictures, review and interview, and join the discussion with your comment. Thanks for the invite, Cheryl! Aug. 10, 2017 — In the hot seat with fellow Sister in Crime* Lisa Haselton. Mystery, suspense, thriller author Kathryn Orzech is featured guest. Join her as Lisa probes for answers buried in a storied past of childhood dreams, present work, and future projects. *Sisters in Crime is an international, professional organization with a mission to promote the ongoing advancement, recognition and professional development of women crime writers. I’m thrilled to be joining the flock and guest posting at I Smell Sheep, an award-winning blog for those who love stories—books, movies, comics, and much more—especially if it’s a little weird, a bit strange, and mysterious. I Smell Sheep blog post: Thank You, Meryl Streep. Meryl Streep to the rescue. Not once, but twice. Read how one of America’s favorite actor-storytellers influenced me and my writing, and helped me learn the language of 1899. 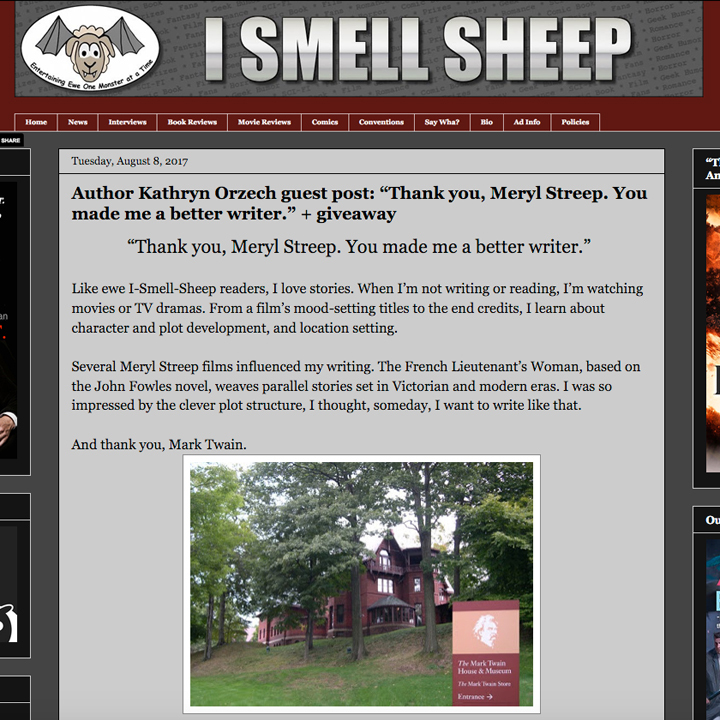 We’re thrilled to be guest posting at I Smell Sheep, an award-winning review blog, where we’re sharing writing tips about researching and learning the language of 1899—and what Meryl Streep has to do with it. See my guest post at I Smell Sheep, an award-winning blog Entertaining Ewe One Monster at a Time. A lovely afternoon at The Author’s Table! Our sincere thanks to the Hartford Public Library and to library patrons who stopped to chat. We love meeting and talking to readers. Author Kathryn Orzech will be greeting visitors and happy to discuss Asylum, her gripping suspense saga set in Hartford and surrounding towns. Set in 1899 and the mid-1970s, when the rise and fall of manufacturing, changing mores and folkways, and struggles for equal rights, prompted passionate discussion of social issues that remain relevant today, making Asylum a book club favorite. The Author’s Table, Hartford Public Library, 500 Main St., Hartford, CT 06103.